Police are bracing for a repeat of the 2011 English riots after a spate of violent incidents and stabbings involving thousands of people in London on Tuesday. Extra patrols have been launched and officers’ leave cancelled amid fears violent summer clashes will continue. One police officer was stabbed and four more were injured at Hyde Park after a water fight escalated into a clash between police and up to 4,000 young revellers in the city’s worst bout of violence since 2011. Police in riot gear remained in place in the park for almost 12 hours as a police helicopter was deployed. Bottles were reportedly thrown at officers and two men were treated for knife wounds at the park and taken to hospital. Mobile phone footage on social media also showed a man being repeatedly stabbed after being chased through traffic on Park Lane. Police have released pictures of four men and are appealing for witnesses. In Hackney, east London, dozens of officers were pelted with missiles as they closed down an unlicensed “block party” attended by around 400 people. Several officers were injured and three police vans were damaged. Officers were also called to disorder and fighting among 600 people attending an end-of-term water fight at Burgess Park in south London. Two 16-year-old boys were taken to hospital with stab wounds and hundreds of people looted a nearby supermarket. All three events occurred on the hottest day of the year, with temperatures peaking at 33.5C (92.3F), and were promoted on social media. Speaking to the BBC, he said: “Does the weather cause people to be violent? My personal opinion is no, that’s not the case. But psychologist Lance Workman, from the University of South Wales, told the Guardian there is a relation between rising temperature and civil disturbances. He says sunshine leads to an increase of serotonin, sudden boosts of which can lead to increased irritability, while aggression can be caused by frustration and an inability to control things, such as temperature. 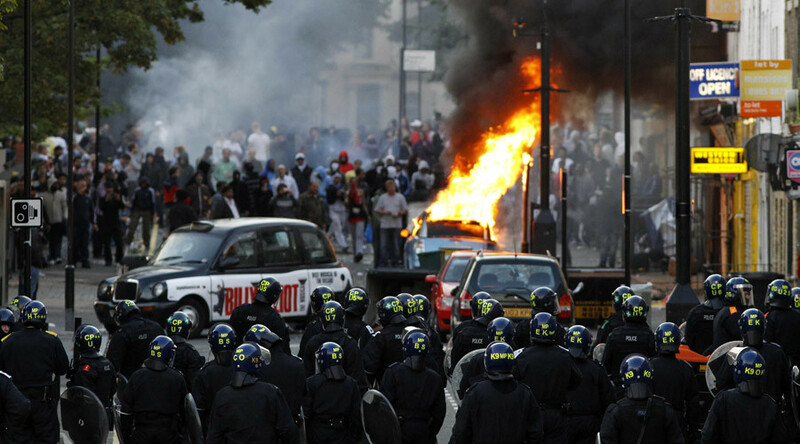 Five years ago, police lost control of parts of London for four days as thousands of people took part in arson, muggings, destruction and looting in the wake of the police shooting of Mark Duggan. 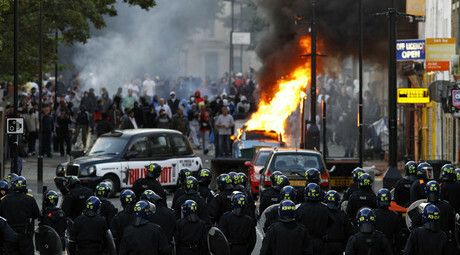 The riots spread to Birmingham, Manchester and other English cities before the disorder was finally brought under control. Five people were killed.